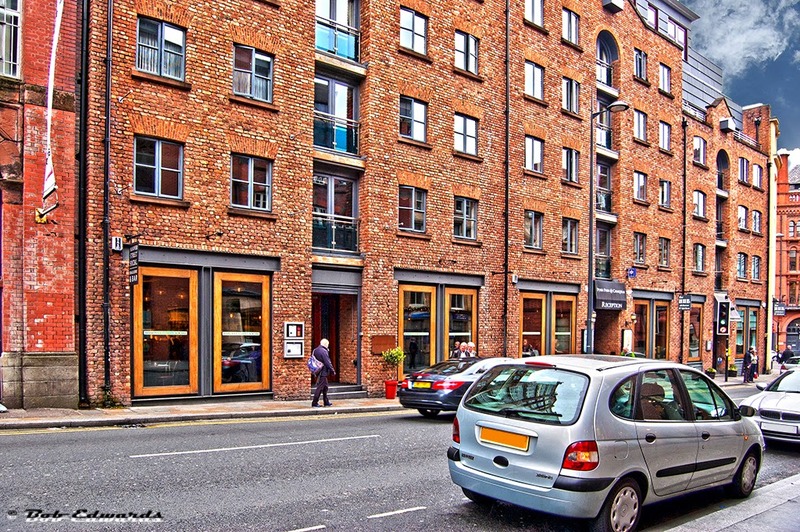 The Duke Street area of Liverpool, including Berry Street, Bold Street and Hanover Street, lies to the south of the city centre and has more recently become known as "RopeWalks'. The term Ropewalks is a relatively modern description. It takes its name from the craft of rope-making for sailing ships that dominated the area until the 19th century. It is characterised by its long, straight streets running parallel to each other. It is said that the streets were built in this way to allow rope manufacturers to lay the ropes out lengthways during production. The area consists of the south west part of the Duke Street Conservation Area plus two warehouses on College Lane and the Bluecoat Chambers on School Lane. Duke Street grew in popularity following the opening in 1715 of the Old Dock, or Steers Dock, which was located within the original pool and allowed secure moorings and access from the River Mersey. 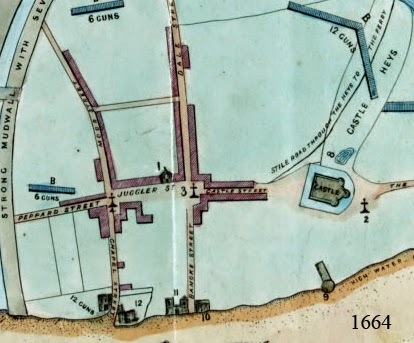 The location of the dock meant that the merchants of the town demanded premises near to the Dock and its Customs House. Hanover Street was the first part of the area to undergo development, followed by Duke Street and Bold Street, and also the fields that surrounded the area were similarly developed. 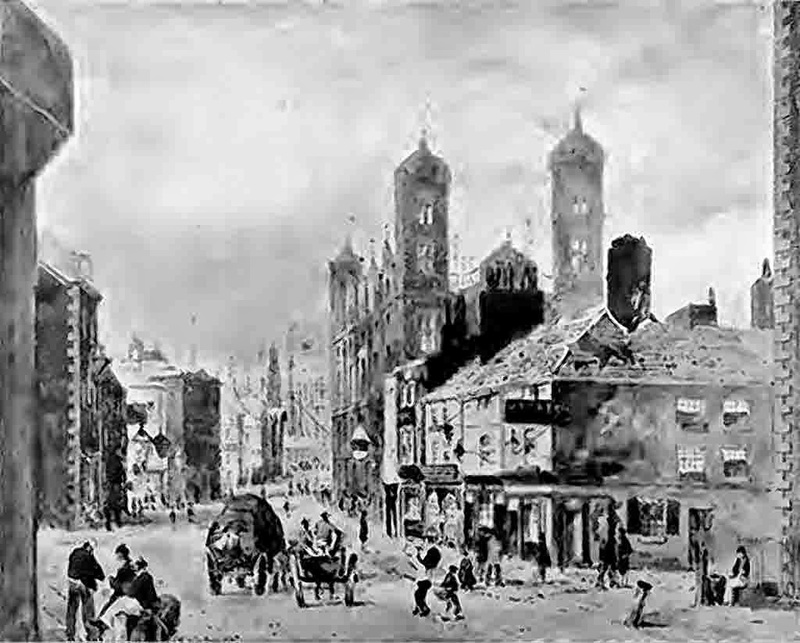 Roperies occupied the site of what is now Bold Street supplying the sailing ships and as a result the demand for residential property intensified so that the merchants could be located close to their business interests. 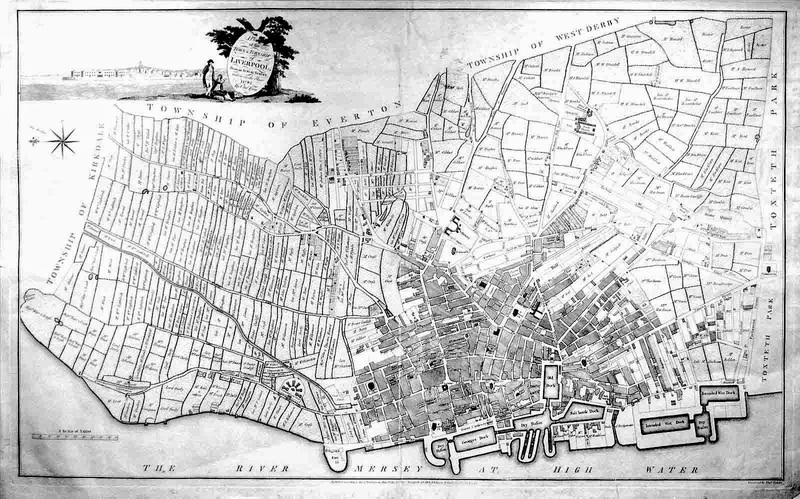 The Charles Eyes plan of 1785 illustrates that by this time, the area had been substantially laid out and developed, so that connecting streets such as Seel and Fleet Streets were present, and the plan of the area seen today was in place. The Broadest streets such as Duke Street contained the Merchant houses whereas the narrower streets led to the crowded residential streets that were the homes of the workers as well as to the rope works and other business premises. The J. Gore directory in 1766, indicates the population mix of the area of the time. In Cleveland Square, the list contains nine sea captains, six traders/merchants as well as artisans and professionals. As the trade increased it was no longer feasible for merchants to use their houses to store goods and new warehouses were built. Because of the demand for plots of land the warehouses were narrow and deep and usually three or four stories high with a basement. The housing in the area included grand Georgian town houses such as the Parr residence on Colquitt Street, to the terraces as seen at 15-25 Duke Street. 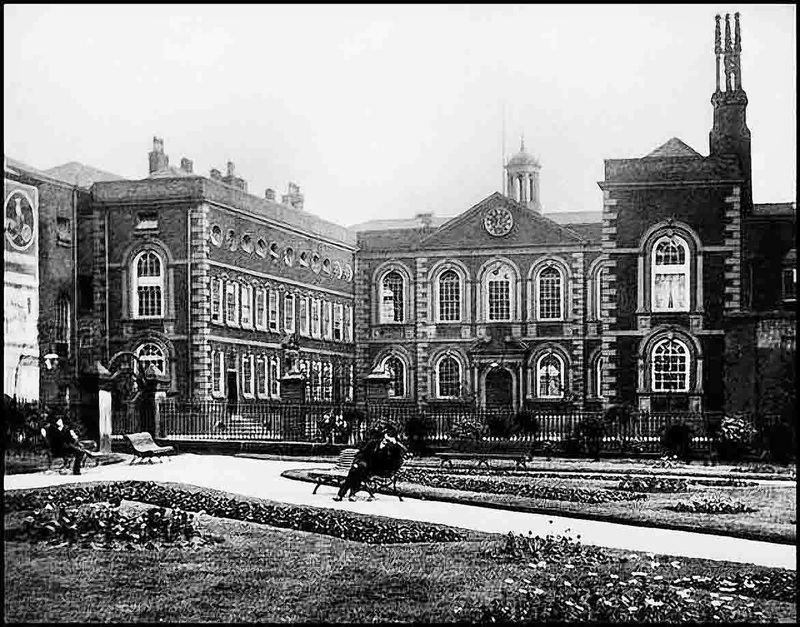 Some being arranged around squares or gardens, such as Wolstenholme Square and Cleveland Square, and a Ladies Walk was provided along Duke Street. 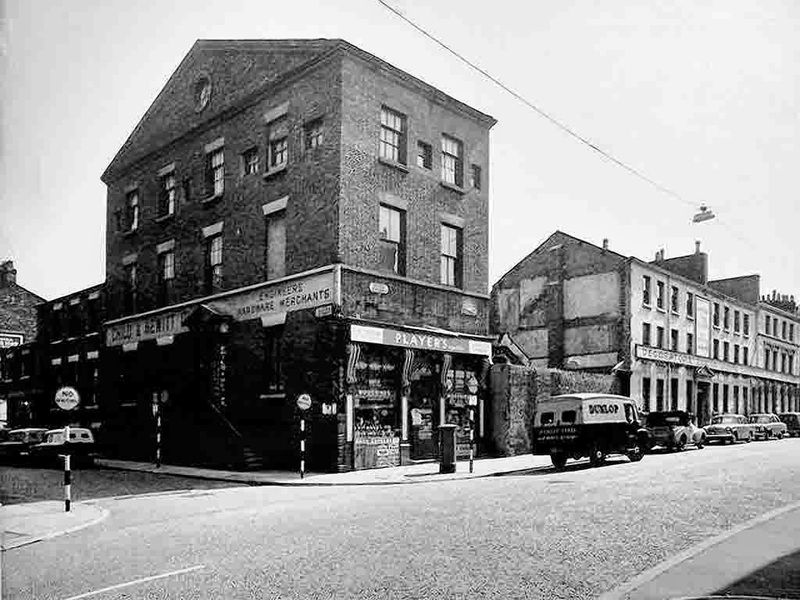 As the area became more industrial the merchants moved further out of the city to Canning Street an suburban areas such as Mossley Hill and Allerton. This resulted in many of the former residential properties being converted to shops as the demand for retail premises grew. The number of labourers and workers in the area grew dramatically and thus the demand for housing resulted in the building of the much poorer back-to-back housing such as Dukes Terrace and housing courts. When Liverpool’s maritime fortunes faltered due to changes in the way goods were transported, the Ropewalks was one of the main areas to suffer. By the 1970s the place was largely derelict. The demand for warehousing continued to decline as goods were moved more swiftly from port to port without the need for storage. However, the area has reinvented itself as the city’s “independent quarter” today it is the natural home of indie shops and bars, while the narrower streets and renovated warehouses, have created homes for cafes and music venues. making it one of Liverpool’s best districts to explore. 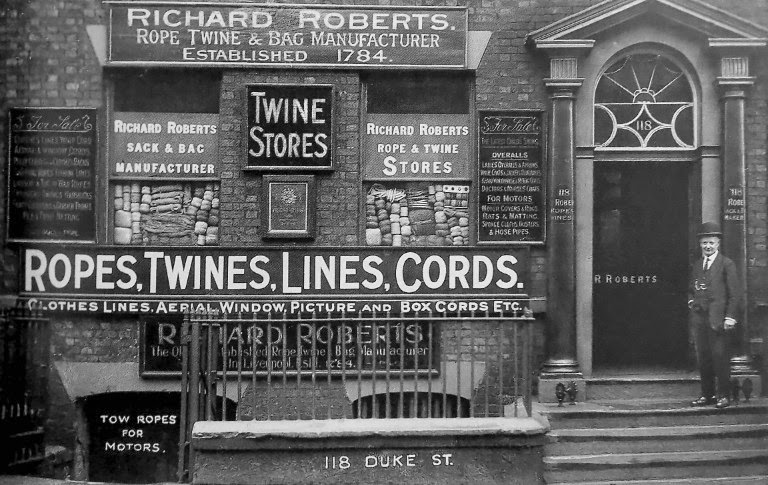 Within the Duke Street area, a number of key buildings remain that help to define its history and character, in Bold Street the Cripps Building, is a fine example of a mid-19th century shop with an elegant glass frontage. Concert Square and its surrounding streets of Wood Street, Fleet Street, Seel Street and Concert Street are populated with bars and nightclubs. The area is also home to FACT (Foundation for Art and Creative Technology) it is the UK's leading media arts centre, offering a unique programme of exhibitions, film and participant-led art projects. Hanover Street with former warehousing converted to living space, April 2014.